Call Marc Gabriel at 702-608-2245 right now to get someone out of jail, find someone in jail or get immediate answers to your bail bonds questions. Hi, I am Las Vegas Bail Bonds Agent Marc Gabriel and I am committed in helping you to get your friend or loved one out of jail. If someone gets arrested in the greater Las Vegas, North Las Vegas, Henderson or Boulder City area they will be detained in one of the three jails. It takes 3-5 hours from the time of arrest until someones information is available such as name, next court date and bail information. Paying for bail or bail bonds is what can almost immediately get someone out of jail and re-schedules their court date at a later date. 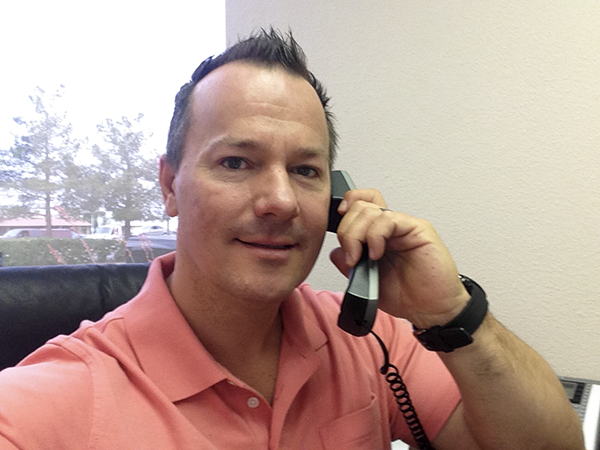 Call me now with any questions and no obligations 702-608-2245. 1. The most expensive option to pay for bail is to pay the full bail as required by the jail. only cost 15% of what the jail charges and is therefore very affordable. on the 15% so call 702-608-2245 right now to get more information. eBAIL is the ONLY Las Vegas Bail Bonds option when bailing someone out of jail. There is no other company that provides the service and being able to help people with LOW MONEY DOWN and EASY PAYMENT PLANS. The State of Nevada requires ALL Las Vegas Bail Bonds Companies to charge 15% of the bail amount (NRS 697.300). Any Bail Bonds Company that charges you MORE or LESS is acting illegally and should not be trusted. Just imagine what else such an illegal Company is willing to do if they are willing to break the law to get your business…. (NRS 697.300). I guarantee that I am able to help you to get your friend or loved one out of any jail with LITTLE MONEY DOWN and EASY PAYMENTS. We are fully licensed by the NV Department of Insurance and the only Las Vegas Bail Bonds Agency that is BBB Accredited. Before choosing a Bail Company to do your homework online: Read the reviews on Google, Yelp etc., or ask a Las Vegas Attorney, to make sure it is a reputable company. Remember once you sign with a shady company you are stuck and obligated to them. You WILL BE at their mercy because they can do as they please and even re-arrest your friend or loved one for any reason. eBAIL is the only Las Vegas Bail Bonds option for your bail needs: Licensed – Bonded – Insured – BBB Accredited and backed up by my personal guarantee that you will be satisfied. There are many different charges that people get accused of and it is the Las Vegas Bail Bonds Agents job to make sure that these charges are correctly written or the jail will not accept the bail bonds. Do your homework, read the reviews and check if the Bail Bonds Company is BBB accredited to ensure that you will deal with a reputable company. People can get arrested for a variety of reasons and if the charges are drug-related such as illegal drugs, prescription drugs, drug trafficking or paraphernalia charges the Las Vegas Bail Bonds option should be for Controlled Substance Bail Bonds. Posting such a bail bond with the jail will get someone out within a few hours and reschedule the court date from a few weeks to a few months later. Any accused person who has a job or family to get back to should contact us immediately for this bail bond option by calling 702-608-2245. When a couple, partners, roommates or family members are fighting and someone calls the police – the police must arrest someone in this situation. In the past quarreling people were seriously injured or even killed because the police did not arrest anybody. The arrested party will be in jail for at least 48-72 hours until they see the judge and then most of the time the judge does not even release the defendant. The Las Vegas Bail Bonds option will get the arrested party out of jail fast so that he or she can get back to his job. When it comes to drinking and driving, DUI’s are the most frequent and common arrests. Anybody that is arrested for a DUI will be held in the jail for at least 12 hours after posting bail. This is considered the “drying off” period for people to sober up. The jail will not release anybody whose blood alcohol level is above the legal limit. With the Las Vegas Bail Bonds option, you can rest assure that the arrestee will be out of jail with a new court return date that will be a few weeks or even months away. Once a Las Vegas Bail Bonds option is selected and posted, the jail issues a receipt with a new court return date. Misdemeanor offenses are the least serious offenses and usually always end up in a fine, however in the worst case scenario a person could get up to six months in jail. Initially, most people do go to jail for these offenses especially if they have an arrest warrant for not paying their fine. The good news is that the Las Vegas Bail Bonds option is the cheapest and easiest way to get someone out of jail. All you have to do is to call eBAIL at 702-608-2245 and most transactions can be done over the phone by using your credit card. Felony offenses are serious crimes that could carry a jail sentence of at least 1 year. In most cases, a felony can be negotiated into a fine or community service with no jail time. As with any other criminal offense, a felony crime will end up with someone going to jail. The most inexpensive way to get someone out of jail is with the Las Vegas Bail Bonds option. It only requires you to put little money down to get your friend or loved one out of jail now. It is the best option since the arrestee can be free within hours with a new return court date that is weeks or even months later. The inmate can go back to his family and job virtually uninterrupted. When you fail to show up for a court date or fail to make a payment on a court-ordered fine a warrant for your arrest will be issued. The cheapest alternative to paying for your warrant is to pay only 15% for bail bonds which will immediately quash the warrant. The Las Vegas Bail Bonds option is the wise choice in getting rid of the warrant now. Call me, Marc Gabriel, right now and I will answer all your question. I can help you and get your friend or loved one out of jail. 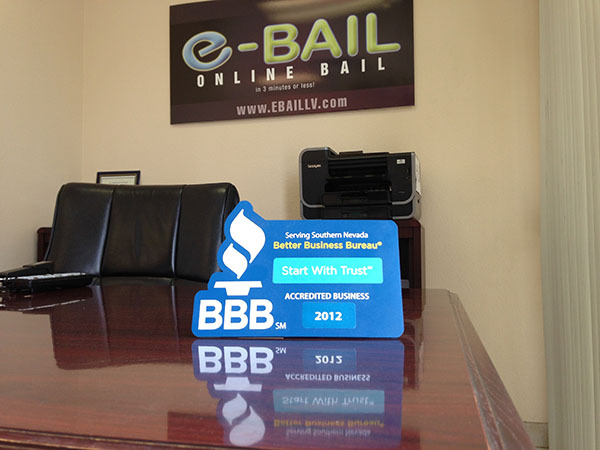 eBAIL is the only Las Vegas Bail Bonds option if you want results that are backed by my personal guarantee.